Good old eggs benedict served up Texan style. Combine all ingredients in a bowl, season. 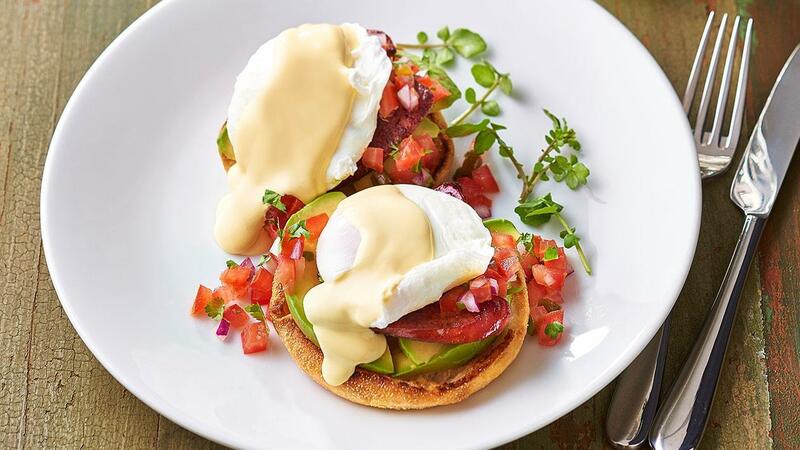 Place English muffins on plate top with avocado, chorizo, eggs, salsa and KNORR Garde d'Or Hollandaise sauce, garnish with watercress.